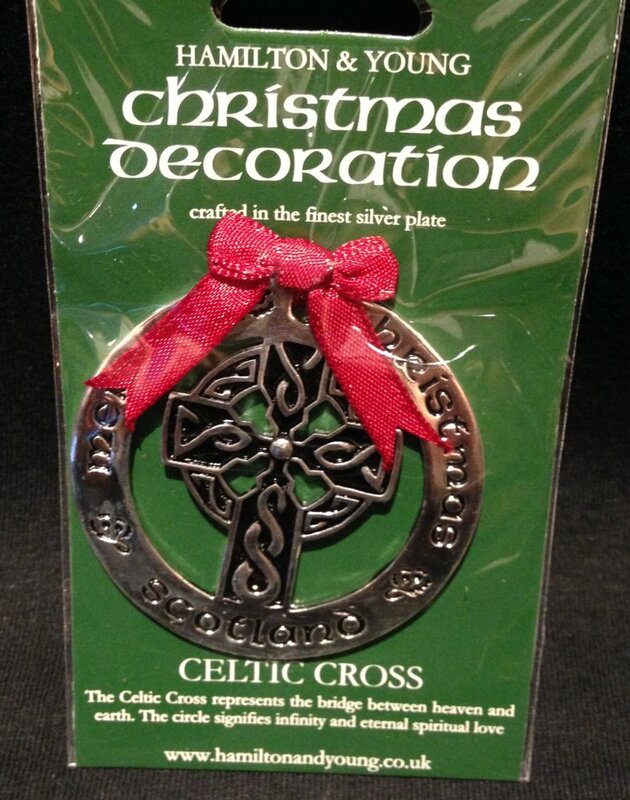 Silver plated Christmas decoration in a Celtic Cross design with a red ribbon loop. The Celtic Cross represents the bridge between heaven and earth. The circle signifies infinity and eternal spiritual love.